Delicious chocolate candy begins with the right candy making tools. You don't have to spend a fortune, but do use the right equipment. By having the right tools, you will save yourself the frustration that comes when recipes don't turn out as you anticipate. One of the most important candy making tools to have is a deep straight-sided saucepan with a lid to help keep your candy from burning. Copper or enameled cast iron pots are highly recommended. I always seem to underestimate the size of pan I need. Remember that the boiling candy bubbles up considerably, and the syrup is not the only thing that you don't want getting burned! It is best to choose a pot with a volume approximately four times greater than the dissolved ingredients. It is better to be safe than scorched! When making candy it is essential that you have an accurate candy thermometer if you are using a recipe that requires you to test the syrup at different stages. This is crucial to ensure that you get the desired result. Look for a heavy gauge thermometer that registers up to 320 degrees Fahrenheit. It is an inexpensive but wise investment. They do have them available at Candyland Crafts along with a host of other candy making tools. 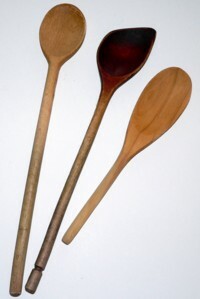 Sturdy wooden spoons are much better for stirring than metal spoons because they don't retain the heat. You will especially enjoy a wooden spoon with a flat tip. It does a much better job of scraping all of the syrup from the bottom of the pan. A metal spatula or a pastry scraper is ideal for tempering chocolate when making cream-filled chocolate candy. To allow candy to cool and firm you will want to pour it onto a flat heat absorbent surface. A pastry marble is ideal, but you can easily use a cookie sheet, platter, or baking pan. Another great candy making tool is a candy mold. You may want to try your hand at making molded chocolate candies. 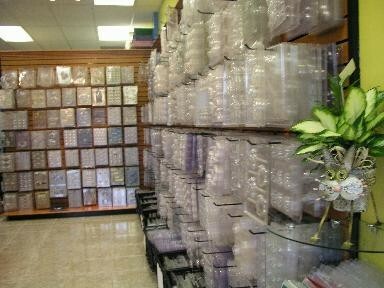 If so, you will find that there is an endless variety of choices in chocolate candy molds. It is important to have your candy making tools organized before you actually begin. The process moves along at a rapid pace. You will do yourself a great favor if you have all of your equipment within easy reach. Put a tray next to the stove to hold your wooden spoon, candy thermometer, cup of cold water, saucer for catching drips, and pastry brush, if needed. Oil your cooling pan ahead of time. Have a rack or cooling surface nearby and all your ingredients ready to go. Chocolate candy is a treat that will put a smile on everyone's face. Choose a candy making recipe and go make some smiles!